Satisfy your Customers and Grow your Business ~ Hershel Supply Co. Founded in 2009 in Vancouver, Canada, Herschel Supply Co. manufactures the finest quality backpacks, bags, travel goods and accessories. As an innovative, design-driven retail business dedicated to producing modern classics, Herschel Supply attracts a fashion inspired, tech savvy following around the globe. Using social media, Herschel Supply was able to achieve a 20% lift in customer service satisfaction rate and 60% increase in overall positive brand sentiment. We chatted with Herschel’s Social Media Manager, Allison Butula, to discover how. 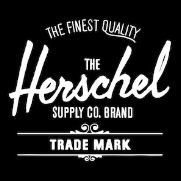 Before social media, all of Herschel Supply Co.’s inquiries were handled by one customer service representative through email or by phone. Although they would respond quickly, sentiment was low due to the perceived lag in communication that is inherent to email. Since setting up a @HSC_Support Twitter customer service handle and managing responses using HootSuite, Herschel Supply has seen a 20% increase in customer service satisfaction as they’re able to get to their requests faster. One of their social media objectives is to try to respond to every question – even those that don’t directly mention their business. To do this, Herschel Supply’s team set up search streams in HootSuite to monitor various hashtags and keywords, such as #Herschel and #HerschelSupply, for proactive customer support. “With the help of HootSuite, social media allows us to serve our customers more effectively and on a personal level. Creating that bond while problem solving results in happy customers who return in the future,” says Butula. Word of mouth marketing played a strong role in how Herschel Supply got its start and remains important for attracting future customers. Catering to a young demographic, Herschel Supply knows that great customer service and positive interactions may result in a positive tweet or shout out on Facebook. For these reasons, ensuring that customers walk away satisfied with their experience and are perhaps inclined to share is very important – even more so than a repeat sale. 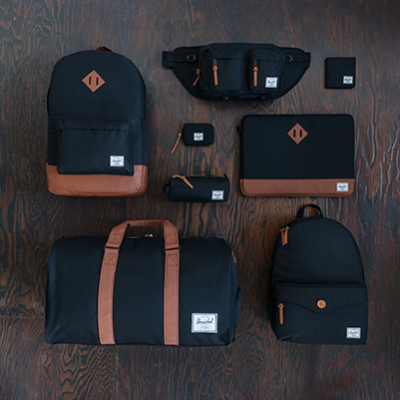 Using HootSuite analytics, Herschel Supply tracked a 60% overall increase in positive brand sentiment since joining Facebook in 2011 and Twitter in 2013. Besides exceptional social customer service, Herschel Supply’s social media team knows that sharing great, on-brand content attracts a strong following and results in increased brand sentiment. With this in mind, Butula shares uniquely curated content on each social channel for brand fans, industry leaders and influencers. “Different social networks attract different audiences. For instance, our Instagram account attracts aspiring photographers; our Pinterest following caters more toward females; Twitter attracts those interested in our product releases and news stories. Knowing this, we share relevant content and grow distinct communities,” closes Butula. Thank you Herschel Supply Company and Allison Butula for chatting with us! Want to grow your social audience? Try HootSuite Pro, free for 30 days.